The island of Oléron is a stunning seaside resort in Charente-Martime on the southwestern coast of France. Here you can enjoy camping in style at Monplaisir, a luxury camping destination surrounded by charming villages and picturesque beaches. 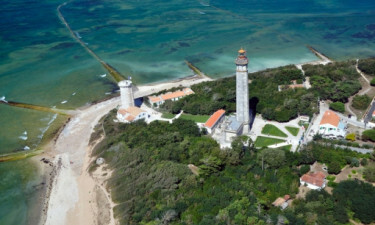 This luxury campsite is close to many of the island’s attractions, including the Château d’Oléron, Boyarville beach overlooking Fort Boyard and the Chassiron lighthouse. Monplaisir is also a perfect location for watersport lovers with plenty of opportunities to sail, windsurf, swim, surf and dive in the area. When not exploring the coastline, you can venture inland for a scenic hike or bike ride. Monplaisir offers peaceful spot to relax and enjoy your camping holiday. This well-equipped luxury camping destination is surrounded by beautiful woodland. Soaring pine trees rise above sheltered campsites and comfortable mobile homes. 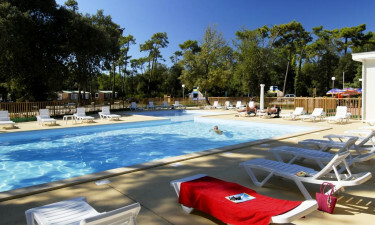 Enjoy this luxury camping site and book your next holiday at Monplaisir with LuxCamp! This family-friendly campsite boasts a children’s playground and other recreational facilities. Activities tailored to different ages also help keep younger visitors entertained during the day. 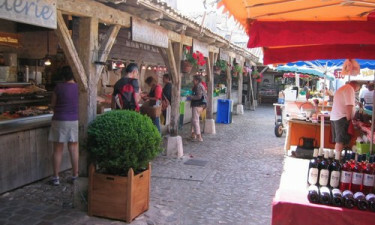 For adults, there is an entertainment programme with day and evening activities during July and August. Other convenient amenities include a snack bar and laundry facilities (extra fee). Luxurious mobile home accomodation provide a comfortable stay at Monplaisir, while the campsite’s spectacular facilities help ensure an unforgettable holiday. There is a beautiful heated outdoor pool with a sun-soaked seating area. There is a sports ground and bowling pitch, and bike paths offer scenic routes to explore the area. Affordable Wi-Fi is also available throughout the pet-friendly site.